Electronic trade fair for office furniture, stationery and supplies including office equipment, filing systems and general accessories. Modular furniture in timeless designs - furniture for the home and office environments which is created from a few basic elements. Leading suppliers of office furniture and room systems with differentiating style collections and cross-product lines. Quality seating solutions provider for mid to high-end project/contract office market. BENE is designing modern office layouts with office and corridor walls and office partitions. We offer an extensive product portfolio comprising solutions ranging from creative room-in-room systems and elegant workstation visual screening to sound-absorbing wall panel. World market leader in door controls, movable walls, automatic door systems and glass fittings and accessories. Bristol Group of Companies is a Malaysian company that create great places to work, furniture systems, seatings and tables through its design concepts, products and services. Entire glazed walls, partially glazed walls, complete walls, moveable walls and lightweight walls in glass, wood or metal. Change the appearance of your rooms â€“ both visually and acoustically. Simple, beautiful and effective. From the reception area to individual, open-plan and director's offices, we offer furniture solutions for the entire organisation. Innovative projection and presentation systems mounted on wall rails. The system that brings order to chaos. Optimal use can be made of wall space. Developed for office use and daily living. Offers system furniture and office partitions, seating, tables and desks, filing systems and other products for the workplace. Executive wood desks, high-tech work stations for call centres, mobile room dividers and meeting room equipment. We have the right office furniture for every situation: desks, occasional furniture, partition or conference room equipment. Our everyday life is the production of high quality office furniture. 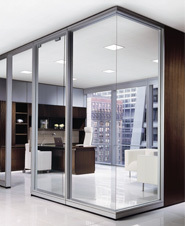 Supplies sliding glass doors and windows, storefronts, entrances and curtainwall systems. Offers office wall partitions and furniture components of modular office furniture systems. Offers office systems including desking, seating, partitions, panel systems, storage and ergonomic accessories. Designs, produces and installs relocatable steel partitions and ceilings. Develops demountable partitioning systems, ceiling systems and lighting for ceiling systems. Manufactures high performance customised designed partition systems for modern business interiors. Manufactures a wide range of movable panels and wall partitions. 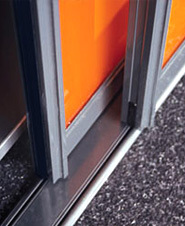 Supplies partitions and provides customized solutions for aluminum doors, office frames and glazing systems. Manufactures partitions, mezzanine platforms, storage and material handling equipment for offices and industries. Designs, supplies and installs storage solutions including mobile shelving, and document storage solutions. For almost 50 years Panelfold has been engaged in the manufacture of the finest space division products available. Manufactures and installs partitions of both aesthetic and technical design. Manufactures portable partitions that solve space and time problems. Australian manufacturer screens, workstations and co-ordinated office partition systems. 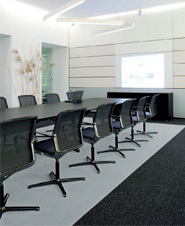 Provides a wide range of office partitions, workstations and ceilings. Subsidiary of Tag Pacific Ltd that manufactures office equipment including partitioning systems and white boards. Manufactures several lines of partition walls for businesses.